So we have this annoying habit. (And we have a feeling you may do too). We love food. We love interesting ingredients. We love the possibilities that a special ingredient brings. We scour food markets, supermarkets and food halls for good quality food that will help us transform our cooking and think creatively. But we are busy City workers, with hectic workweeks and sometimes these interesting ingredients get forgotten, at the back of the fridge, and we get into a panic about how to use it up in time. Hello, organic English curly kale. We’re sorry, mature Parmesan. So either, we shove the offending (but beautiful) food into our tiny freezer for use at a later date…or we drop (almost) everything and our mission becomes WHAT ARE WE GOING TO DO WITH THE KALE. Toast the pine nuts on an ungreased frying pan until they brown slightly. 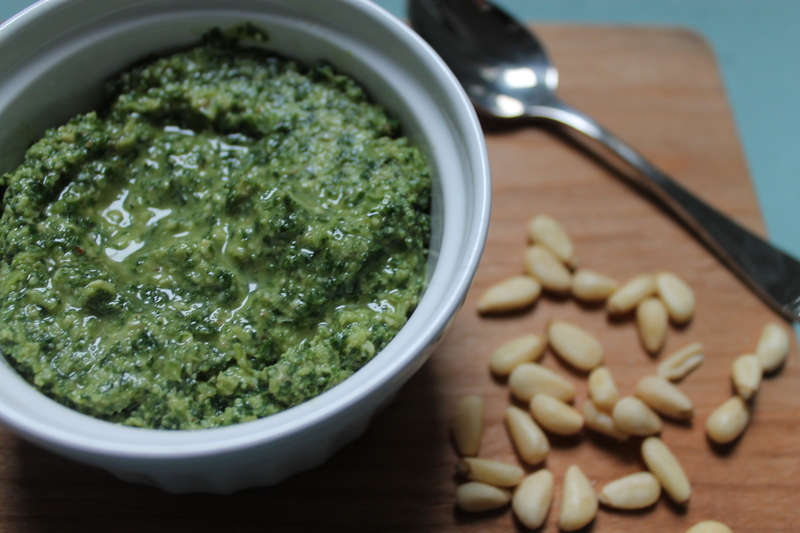 Place the pine nuts and walnuts in a food processor and process the nuts until they become crumbs. Then add the kale (in batches if necessary) and the olive oil and process until it becomes a slightly chunky mixture. Lastly, add the Parmesan, salt and lemon juice, and process the whole concoction until it has reached the desired consistency (smooth-ish in our case!). 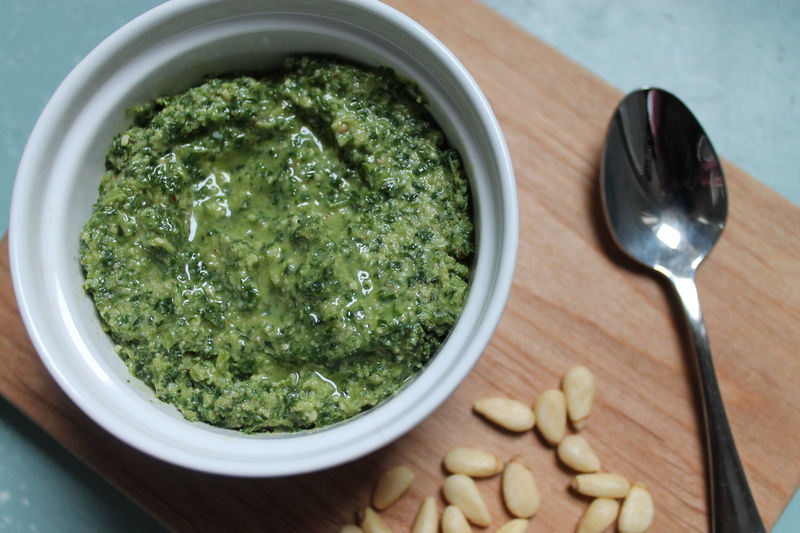 Transfer the pesto into a large jar and refrigerate until you intend to use it. to sayy that I’ve really loved browsing yojr weblog posts.